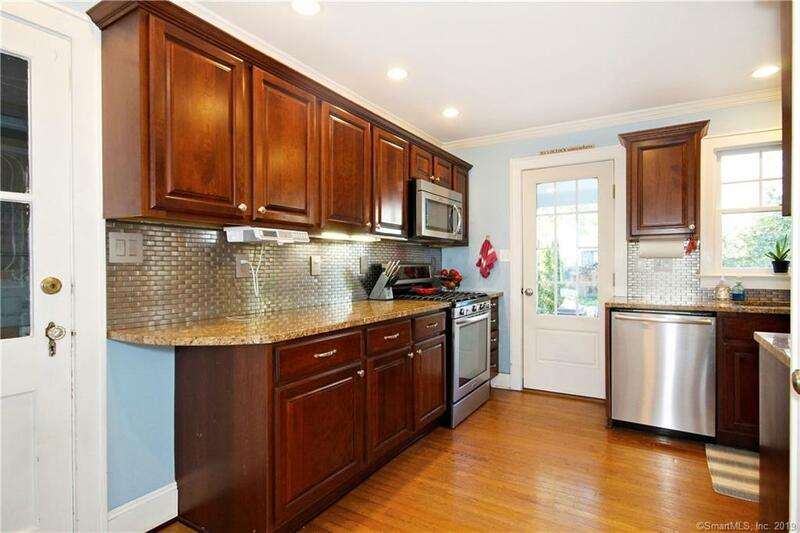 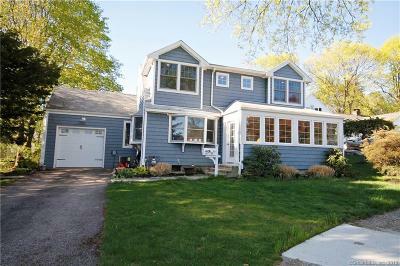 Expanded Cape on East Norwalk Cul-de-sac Lots of improvements over the past 10 years make this home one of a kind. 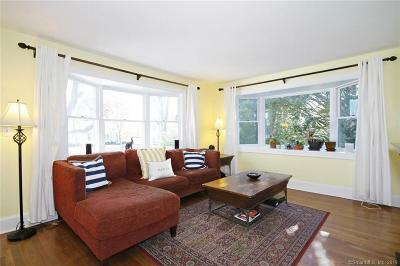 The owner has added windows to maximize natural sunlight throughout the home. Sunporch is enclosed and perfect place to hang up your coat or beach towel. 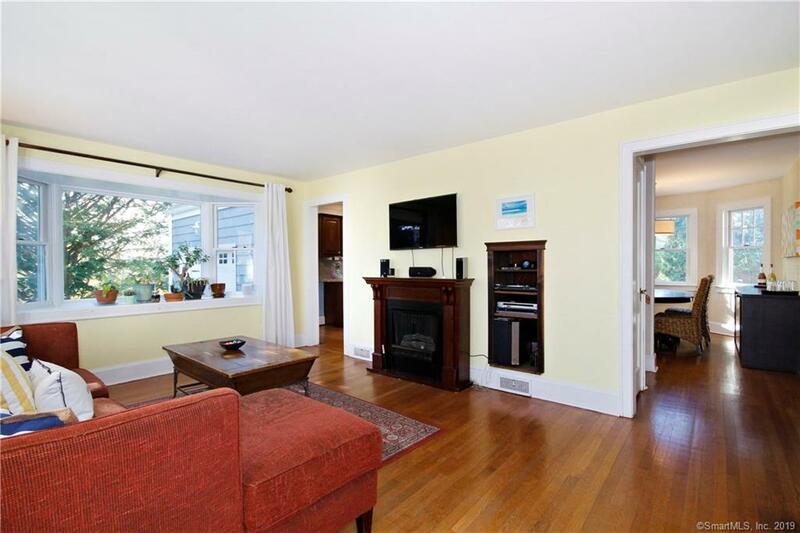 Living room is light and bright with bay windows and hardwood floors. 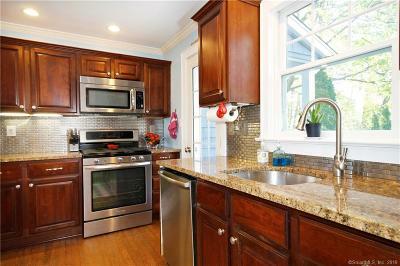 Kitchen has cherry cabinets, granite counter and stainless appliances. 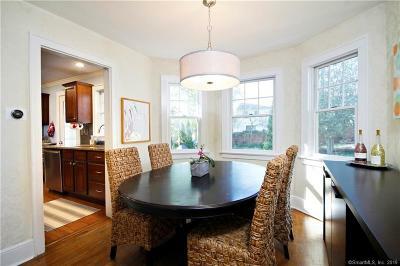 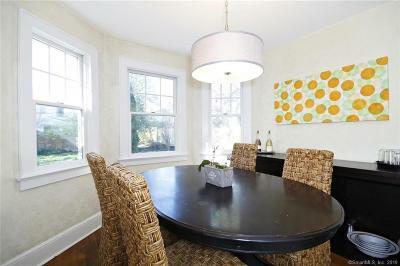 Dining room has lots of natural light and modern yet classic chandelier. 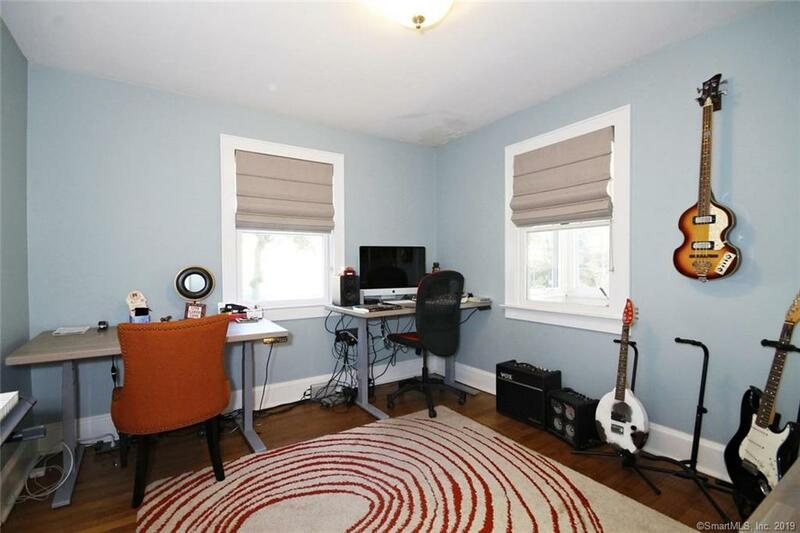 The downstair bedrooms are currently used as office and playroom. Both rooms have custom built ins and the back room has sliding glass doors. 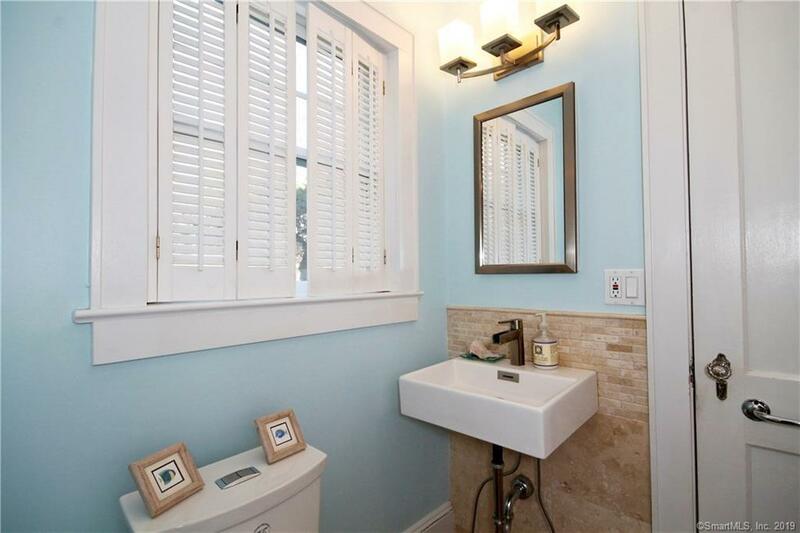 These rooms share a full bathroom with neutral tumbled travertine on walls and floor. 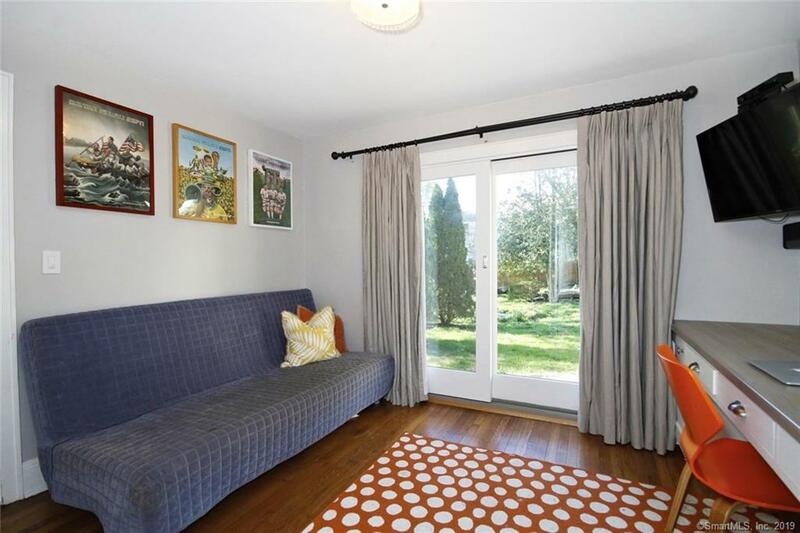 Laundry is on the second floor which has a generous landing space leading into Master Bath, shower only yet with tumbled travertine on walls and floor. 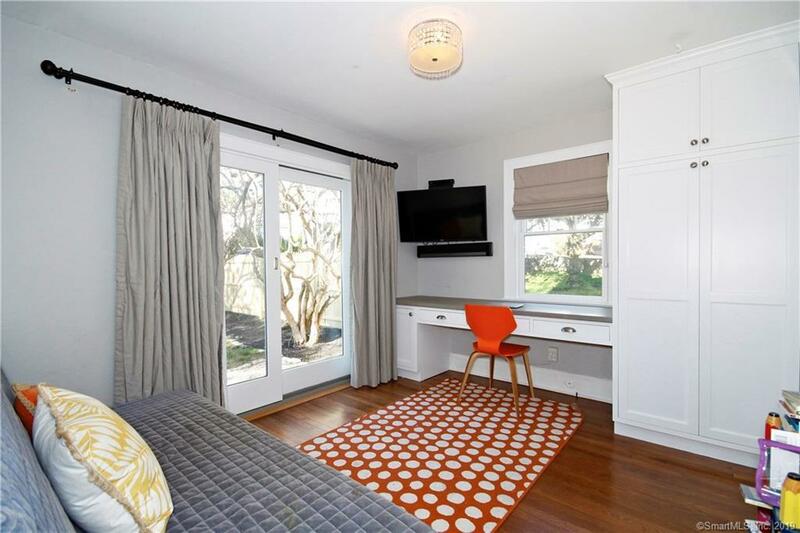 Walk through dressing room into Master bedroom, which has large picture window and double closet. 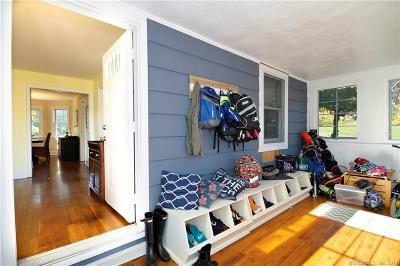 Also on the second floor are 2 more bedrooms with single closets and Jack and Jill bathroom. 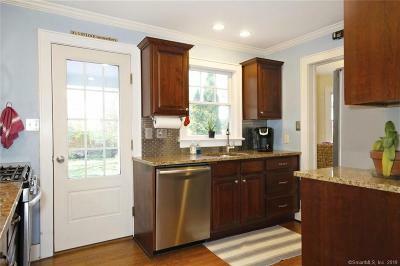 Bathroom is custom designed with shower, tumbled travertine and granite countertop.